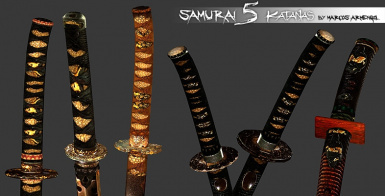 Version 5 of Marcosï¿½s Samurai Armor: Retexture some weapons. Version 5 is only a new addon! Remember: Donï¿½t have .eps file! You need Samurai V4 to play. Version 5 is only a new addon, donï¿½t have .eps. You need Samurai V4 to play.